A native Atlantan, Sen. Donzella James was first elected to the Georgia Senate in 1993 and served four terms, to 2001. She was re-elected to the same seat, which includes portions of Fulton and Douglas counties, in a special election in 2009. Donzella now serves on the Senate Education and Youth, Special Judiciary, State Institutions and Property, and State and Local Governmental Operations committees. 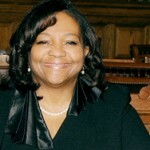 She also chairs Keep South Fulton Beautiful and is co-founder and chairperson of the Task Force for Good Government. Donzella is a retired federal employee and also taught in the Atlanta public school system for more than a decade. She currently co-hosts a weekly show called “Radio Haitian Voice International,” a multi-lingual community outreach radio and internet program. A graduate of Morris Brown College, Donzella earned a Bachelors degree in criminal justice and political science, and went on to study at Georgia State University and to receive an honorary Doctorate of Humanities from Macon’s Emmanuel Bible College. Donzella has received legislative service awards from several organizations, including the Georgia Municipal Association, the Association County Commissioners of Georgia, the National Alliance of Postal and Federal Employees, and the Georgia Highway Safety Management System. In 2000, Donzella received the JFK Profiles in Courage honorable mention award for authoring and introducing the acclaimed “Zero Waste by 2020” legislation which was eventually adopted in 20 states. Donzella and her husband Elmo have been married for more than 35 years and are parents to two sons and three grandchildren.